The TOPS™ System is a mechanical implant device that replaces the bony and soft tissues removed or compromised during spinal decompression surgery. This type of surgery is performed as a treatment for lumbar spinal stenosis (narrowing of the spinal canal) with or without the incidence of spondylolisthesis (slipped disc) and for facet joint arthrosis / cysts. The TOPS System is designed for use on lumbar segments at a single level between L3 through L5 — the segments most commonly affected by spinal stenosis. It can also be combined with the Versalink™ Fusion System for multi-level disease between L1 and S1. For such patients the TOPS System serves as an important transitional segment between the rigid fixation of fusion and disease-free spine segments. 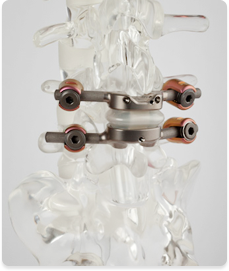 The two TOPS titanium endplates house a central artificial articulation that allows for motion in all directions—axial rotation, lateral bending, extension and flexion just as the normal, healthy spine does, enabling patients to bend, straighten up and twist at the spine level afflicted by lumbar spinal stenosis. The device is implanted via a traditional posterior surgical approach to stabilize the affected vertebrae and to replace the diseased lamina and facet joints that are removed, in whole or in part, during the surgical spinal decompression. The TOPS™ System effectively replaces the function of the anatomical structures that are removed from the vertebrae during the spinal decompression surgery. For example, the internal metal stoppers replace the function of the natural bony elements that served as stoppers during axial rotation. The boot and internal components replicate the function of the supraspinous ligament, interspinous ligament, and ligamentum flavum in their ability to help control flexion. The internal metal stoppers replicate the natural bony elements that served as stoppers during axial rotation. As with spinal fusion devices, the TOPS System is anchored to the spine with four polyaxial pedicle screws. However, the TOPS System’s unique patented crossbar configuration exerts less force on the screws than those forces created by typical fusion implant devices on their pedicle screws. 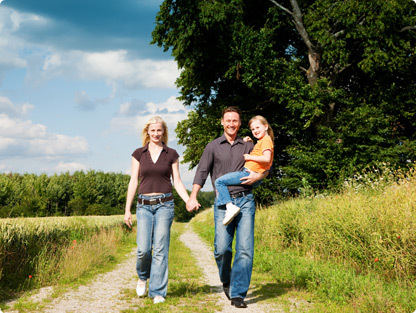 If you have symptoms of spinal stenosis, talk to your physician about all your treatment options, and find out if Posterior Arthroplasty is the right solution for you.